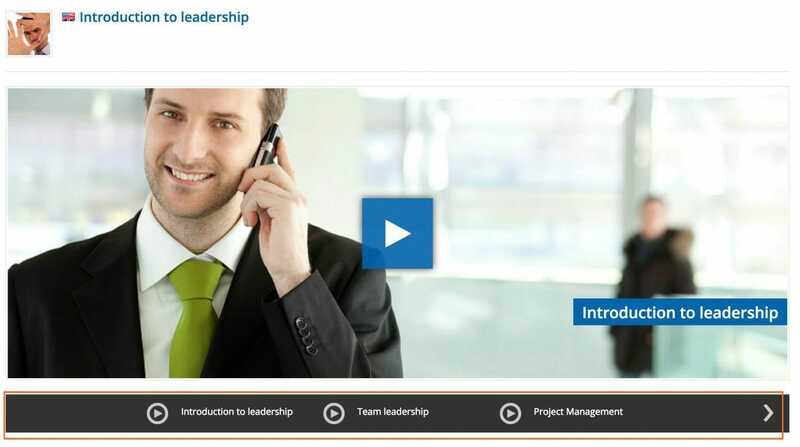 Docebo allows you to manage the training material view, providing three different views: the Player view (bowser mode), Player view (preview next mode) and the List view. Let’s see the difference between these two settings. The player view is the default setting of the platform. It shows the list of the training material in the black strip under the player. This is a quick way to navigate through the course content. The system will only show one object at a time; each subsequent object will appear once the previous one has been completed. This feature is available only for Docebo 6.6.1 or higher. 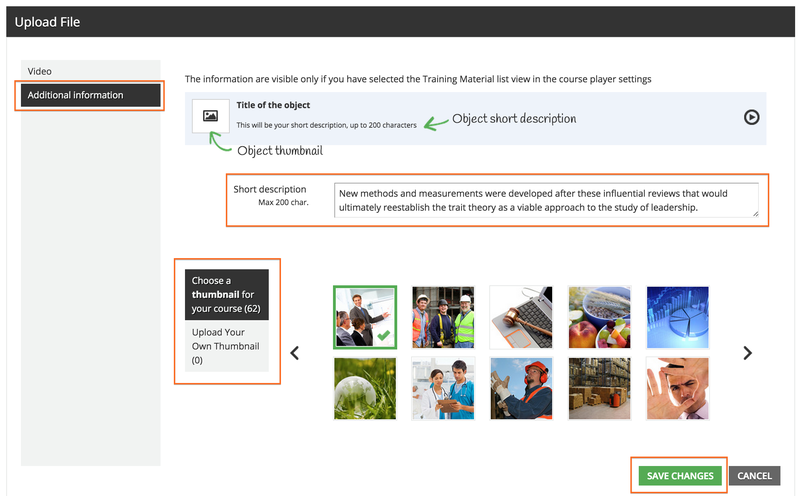 This view shows a list of all the training material, including a thumbnail and description for each object on the list. Both options allow the user to have a folder view, shown by clicking on the play button on the sidebar. In order to choose a view option, access the Branding and look & feel area from the Admin button, then choose the Course player tab. The default setting is the Player view (browser mode), but you can switch to the other views anytime. 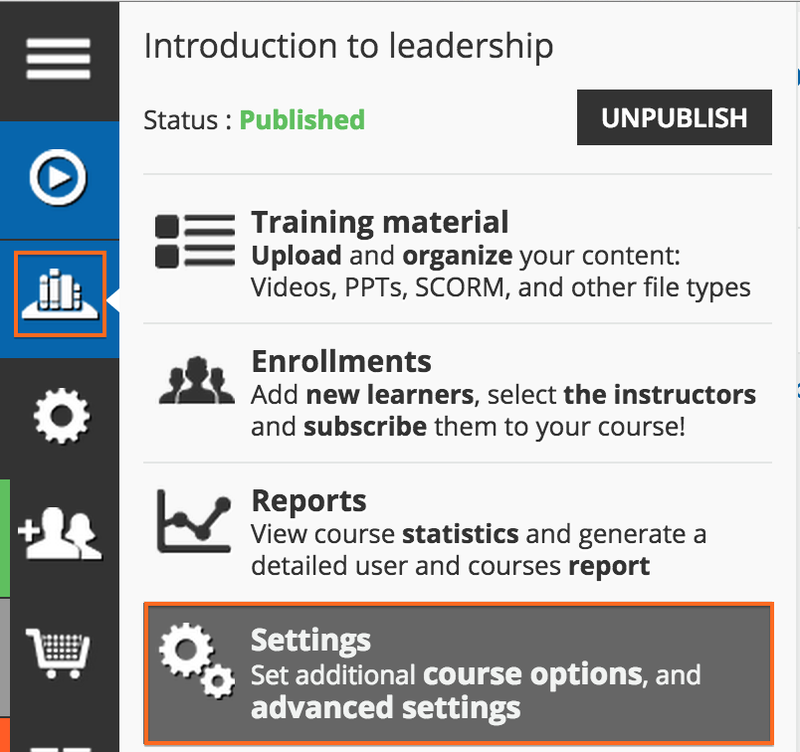 When you switch to the List view, all the courses in the platform will change their settings except the ones you have managed by a specific course player option within the settings of the course. 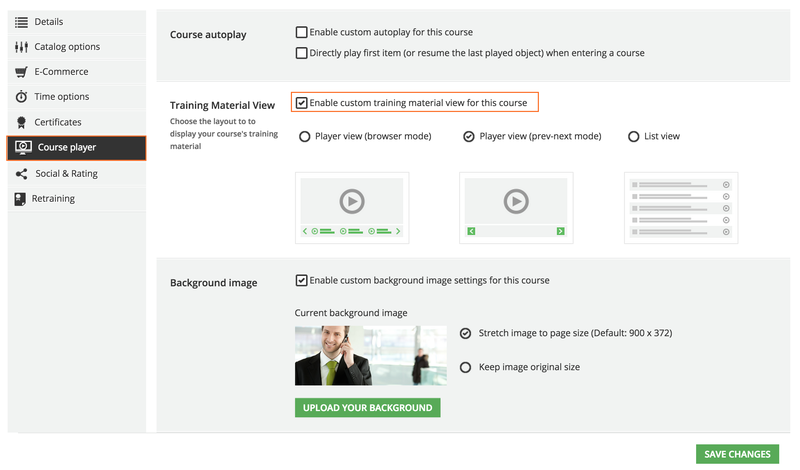 It is possible to apply a generic setting through the Branding and look & feel area, and then customize the training material view for specific courses by going to the course advanced settings – Course player tab. Access the course you want to manage and then choose the Settings tab from the Manage course menu. Choose the Player tab and enable the custom training material view by selecting the related checkbox. Remember to save the action by clicking on SAVE CHANGES. Now you can start adding or editing training material, and showing it in a list view. In order to optimize the list, it is recommended that you add a specific thumbnail and description for each element you want to show in your course. – Select SAVE CHANGES . You can also get to this page by selecting the Edit icon from the learning object menu.